With 2018 drawing to a close, I’m sure a lot of us are reflecting on what’s happened in each of our lives as well as wondering about what 2019 holds. For me 2018 was a strange year of revelations, new opportunities, as well as upheavals. Two bouts with bronchitis, the second one becoming pneumonia, really took a lot out of me and my vacation time from work. I was supposed to be off this last week and not returning until January 2nd. Our 1st anthology “The Vampyre Blogs – One Day At a Time” had been slated to be released in late September/early October but didn’t see the light of day until early this month (not a great time to push a new book, not when the big publishers are pushing a bunch of titles they’ve been holding back in time for the holidays). However, things will pick up. I know this from past experience, so I’m not too worried. However, the big question of course is what can you all expect from us in the coming year? Well, quite a lot. Firstly, we’ve been gathering our thoughts on a number of writing topics to share here on the blog. We’ve got plenty of insights from our adventures to share with you all, so we hope you’ll still be checking in regularly and re-sharing our posts with others. Secondly, there are things that have been happening behind the scenes we haven’t shared with you yet such as what’s been happening with the collaborations. As you know, my high school friend Rich Caminit and I have been working by e-mail and Skype on a project involving Chinese vampires and actual historical events. I am happy to announce that the first draft of our collaboration “The Pass” is nearing completion as I write this post. Part of the reason the project has taken so long is the fact that the story was becoming more and more lengthy and farther removed from the Para-Earths vision Helen and I created. So, we decided to make “The Pass” the first in a new paranormal/historical set of books we are considering calling “The Paranormal History Series” (tell us what you think in the comment section below please). Furthermore, we decided to break the story up into two books because it was getting so long. We’d already found the perfect cliffhanger for the end of the “The Pass”, as well as a startling beginning for the second part of the story which will culminate in a battle scene of epic proportions. Thirdly, Helen and I have embarked on yet another new series that she is taking the lead writing role on, called “The Forever Detective Series”. The first book is “Forever’s Too Long”. Set in the late 1940s, the detective, a former policeman and officer has opened his business as a private investigator to find out that the cases he’s working on are leading somewhere there is no coming back from. She’s already written over 19,000 words of the first book and we have already started building a website for it over at https://foreverdetective.com/. Mind you the site is still under construction, but if you click on the “Blog” tab you’ll find some interesting background information about her leading man. And there will be a lot more coming soon to that site, so you might want to bookmark it. Her current goal is to have the book out by summer so stay tuned. She’s a lot faster writer than I am so the likelihood of it being out on time is very good. Finally, I want to let you all know that the long-awaited sequel to “The Bridge” and “The Ship” is once more fully under way. “The Door” takes up where both those books ended in a hospital where the wail of an infant leads Alex Hill, Veronica Ross, Cassandra Elliott, and Julianna Cloudfoot to face old and new threats from the realms of two different Para-Earths. Part of the reason this book has taken so long to write was the simple fact that I had a good idea of what I wanted the main story to be, but not a clear vision of how it should unfold. This is what led to our branching off and doing “The Vampyre Blogs – Coming Home” tale, which was more clear and complete in my mind. That book also allowed me to find the missing pathways I needed to get “The Door” back on track with new characters and scenes that will “bridge the gap” (please excuse the pun) between the first two books and “The Vampyre Blogs” part of our Para-Earth Series. The story that will be unfolding in “The Door” will start the beginning of bringing the casts between all three books together creating opportunities for many more stories down the road, including one that will bring Alex face-to-face with the nightmare dwelling that nearly destroyed him in every sense of the word. I am of course referring to “Harlequin House”. As you can see, there’s a lot coming your way in 2019 and beyond. We hope you’ll keep joining us for the ride ahead. It will probably have more twists and turns than a roller-coaster, and I hope will be just as exciting. Until time, we wish you all a very Happy New Year, and urge you all to keep writing! THE PARA-EARTH SERIES… WHAT DOES THE FUTURE HOLD? In the last two years, so much has been changing for me when it comes to writing. For starts, I completed my first collaborative work with my wife Helen, which became “The Vampyre Blogs – Coming Home”. As I’ve said in previous entries, she has been my sounding board, my adviser on both science and science fiction, my rock, and my inspiration. Shortly before work was completed on the “The Vampyre Blogs – Coming Home”, a friend from high school days, Rich Caminiti, asked me to look at a piece he’d been working on for a number of years. I read what he had done and quickly saw he was in the same boat I had been back in 2009-2011. A story idea which needed some serious direction, scene cutting/editing, a little more cohesive connection between ideas… but a SOLID concept. As we talked more, he asked me to help be his mentor and after having read my first two books he wished to know if we could work on a project together and I agreed. Like Helen, Rich is a huge knowledge of science fiction as well as computers and actual science, so I found the idea very appealing. After a few sessions of kicking around ideas a joke was made about vampires in the old west. But not just any old vampires, oh no. We started thinking about Chiangshi, or Chinese “Hopping” vampires. We had some serious laughs, but for me history repeated itself. Taking a few steps back to four years ago, I had sworn I would never do a vampire story unless I could introduce a whole new angle to the idea, that also allowed my creation to be highly recognizable as such a creature. Furthermore, any vampire of mine would have to be science fiction based and be able to fit into my Para-Earth series. Yet at the same time such a being needed to have typical vampire powers such as being able to shape-shift, turn to mist, and be strong. But it would also have many of the usual limitations and needs such as avoiding sunlight for extended periods, sleep in the ground and of course drink blood. Clearly this was a tall order and probably out of my league. Yet no sooner had I said this to myself, when the beginnings of an idea began to germinate in the back of my mind and soon Nathaniel Eoghan Steward was born. But even then I had to consult with my wife Helen to help me decide on what kind of life-form could turn an ordinary man into such a being. But she quickly thought up several possibilities based on actual life-forms that actually exist in today’s world that would suit the purpose and we were off and running. Now we fast-forward to two years ago with me and Rich joking about Chinese vampires in the old west and once more the seeds of an idea began to take root. Drawing upon his knowledge of history and the Civil War, we soon came up with a working idea of espionage and the seemingly supernatural working together towards the last year and a half of the Civil War. We were even able to pull in some Native American lore and actual historic events to create “The Pass”, which is still under construction at the writing of this entry. At first, in spite of Rich’s hopefulness that this could become part of the Para-Earth series, I hesitated. Not because I was possessive of the series, but I simply was unable to see how the story could be incorporated into the overall concept. The tale we were creating seemed so much more fantasy/horror, and I could not see how it could be incorporated into the Science Fiction aspect of the series. Then about a week ago, while taking my usual hour long drive to work (which is when I do a lot of ‘braining’ for various story ideas) a thought struck me that made the entire story itself come together in a way I hadn’t seen before. This brainstorm also allowed it to fit perfectly into the Para-Earth series, allowing me to take a step I had planned long ago for the series. Adding another new writer to it. You see, long ago I had been inspired by HP Lovecraft who of course created the Cthulhu Mythos which continues to grow to this day long after his passing. While still alive, Mr. Lovecraft allowed and even invited other authors to build upon his mythos and help expand it. Some of those who joined in were August Derleth, Robert Bloch, and others. And as I mentioned before, modern day writers, including Stephen King, have continued adding to the mythos and bringing new life to it. So when I began the Para-Earth series, I knew right off the bat I had created something with near limitless story possibilities, more than I alone could ever cover. Therefore, I planned that as the series progressed to allow others, who proved their writing skills and ability to stick close to my vision, to help expand and build upon the series. To date, I’ve only allowed my wife Helen and Rich to be part of the writing for the series. However, in the years to come I hope to invite more writers join us. But that is something for another entry. At the moment, the three of us have our hands full with several stories currently under way and more to be started, which I will cover in the next installment of this lengthy entry. Until then, take care and keep writing my friends. Is there a lover of the paranormal or science fiction in your life? Well then here’s a deal you won’t want to pass up. Starting from now and ending at midnight November 30th, all three books in the Para-Earth Series are just $1.49 each. (1/2 off the regular price). That’s right, you can get all three books for yourself, or for someone’s stocking, for less than $5.00! Ghosts, psychics, vampyres, parallel realities, mystery, love, action, suspense… in short the works! Each book has been given 4 and 5 star ratings, and the series is still growing. Every story stands on its own, but is also part of a growing story arc. 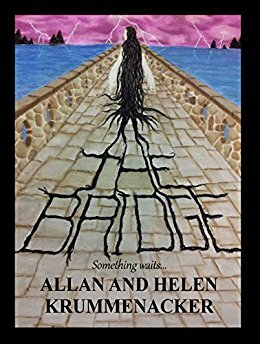 -It all begins with “The Bridge” where a strange stone bridge built in the 1700’s is haunted by the mysterious White Lady, who does not guard but seeks help in uncovering a terrifying secret within the structure. -The adventures continue with “The Ship” where Cassandra Elliott and Julie Cloudfoot, having just survived the terrifying encounter at the bridge, now find themselves facing a living ghost ship which has designs on making the psychically endowed Cassandra its new navigator. –“The Vampyre Blogs – Coming Home” introduces a whole new set of characters including Nathan Steward, the last surviving soldier of the Civil War who’s extended lifespan comes from his terrifying encounter in a Para-Earth where he encountered life forms that defied description. Only now one of those beings has finally found its way into this world, and he is the only force that can stop it. But he must act fast for the thing seeks not only to end his life but those of the families he was watched over for the last 150 years, along with the entire world. Like Terry Pratchett’s Discworld, all the stories take place in the same universe. And with time many of the different characters will meet and have adventures together. Two new books are scheduled to be added to the series next year, so dive in now because the adventures are just beginning. Plus, if you order through Amazon or Barnes and Noble, you can not only gift them to someone, but you can also schedule what day you want the book(s) to arrive, like maybe Christmas or during Hannukah? Or maybe someone has a birthday coming up, take care of your shopping now and know they’ll receive it on the right day. 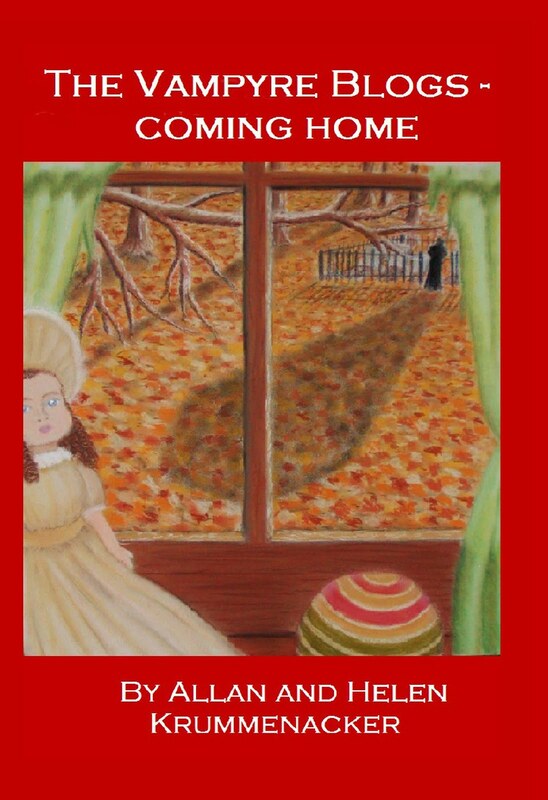 The third installment of my Para-Earth Series, “The Vampyre Blogs – Coming Home” will be released on October 28th! That’s right folks, Halloween will start a couple of days early, so get ready to grab your copy of the next installment of the Para-Earth Series. The book will be available in Trade Paperback, Kindle, Nook, Sony, Apple and all other e-readers. Within these pages of this novel you’ll meet a whole new breed of vampire who drinks blood, needs to sleep in the ground, avoids sunlight (because he’ll start to sparkle as in slowly spontaneously combusting), and cannot eat garlic. He’s also one of the best people you’d ever want to have on your side in a bad situation. Keep watching this page for more entries from some of the other characters you’ll be meeting in this the first novel co-written with my wife Helen, who has been an integral part of the science side of the Para-Earth Series since it all began. If you’d like to learn more about the characters, we have a collection of short stories over on our blog titled “The Vampyre Blogs – Private Edition” (note: None of the short stories appear in the book itself. What you will be getting in the book is a brand new full-length adventure). Below is the link to the first blog entry, where you will meet Nathan. From there, you can read the rest in order by clicking the word “Newer” at the bottom of the page or check out the Archives section located to the right of the entry. I hope you enjoy what you find there, and look forward to the novel itself which contains the occasional reference to some of these short stories. After a prolonged absence, I’m pleased to announce that book 1 in my Para-Earth Series is back online at Amazon. Newly re-edited, my first venture into the world of writing is back and better than ever. Those who purchased a copy in the past should be receiving the updated version automatically through Amazon. Give it a few days and check to see if the words “Re-edited 3rd Edition” appears on the second page. If by week’s end that hasn’t happened, check “Manage Your Content and Devices” under your Amazon account and make sure the “Device Sychronization” (WhisperSync settings” is ON. Amazon has told me there might be a few days delay in getting the new edition to those who already have the book in their collection. Signed copies of books I and II in the “Para-Earth” series are just $10.00 each, plus $5.00 shipping and handling anywhere in the United States. (For overseas shipping will be more of course, and will depend on the destination). These books are trade paperback sized and will look great on any bookshelf. Just tell me which title(s) you want and if they’re to be signed and personalized. (Some people prefer just signed, which is why I ask). Please note: Normal mailing time is 5-9 days, so order soon to get it in time for Christmas. 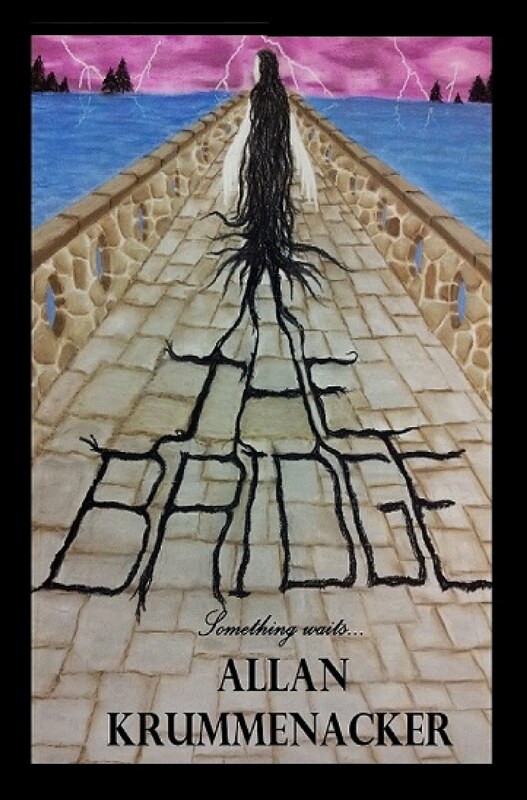 You can now get “The Bridge”, book on in the Para-Earth Series for FREE through Amazon. That’s right, you can enjoy this 4 and 5 star tale for free as part of your Kindle Unlimited subscription. This paranormal/mystery will introduce you to ghosts, psychics, and a whole new vision of parallel realities unlike anything you’ve ever read before. So why not check it out today and enjoy a really exciting summer read. 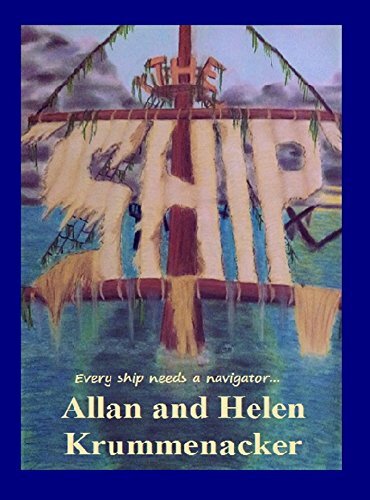 Plus when you’re done you’ll find book 2 in the series, “The Ship”, is also available through Kindle Unlimited.